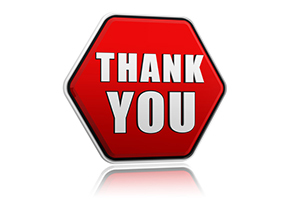 How to gracefully flip your customer’s “Thank you”! Restoration HINT: The very best way to thank your restoration customers? Get them back into their beautifully restored home FAST! And of course cookies and other treats are always appreciated by the Insured too! Remember you simply cannot “bank way” too many positive Moments of Truth(MOT) in your customer’s subconscious! So check out this Restoration MOT outline HERE. Or for a great step-by-step residential MOT outline click HERE. Yep. Never hesitate to ask for referrals. People need reminders.